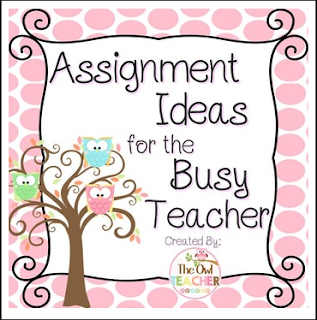 As busy teachers we sometimes look for a new idea or a new way to present material. Sometimes we are simply looking for a new way the students can present understanding. This *free* resource provides you with a list of ideas for when you find yourself looking. This resource is perfect for tutors, paraprofessionals, volunteers, and substitutes! It is low prep, too! With a variety of instructional ideas included, it's a wonderful starting point for teaching curriculum in engaging and authentic ways! This resource is perfect if you need more ideas for disseminating curriculum but weren't sure how or are just starting out! This resource saves you time! Additionally, it's perfect for when you have a substitute!